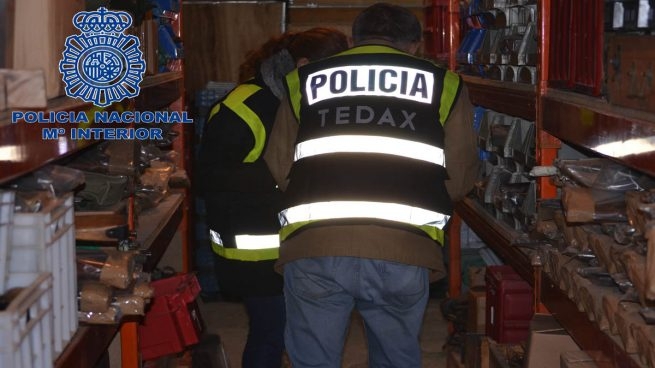 INVESTIGATORS in Jaen, Andalucia, were forced to call in the bomb squad after unearthing an arsenal of weapons at a dead man’s home. Two armed bombs – one of which weighed 50 kilos and was designed to be dropped from aircraft – more than 70 guns and a crossbow were among the items recovered. The alarming find came after concerned residents in the town of Linares reported that a neighbour had not been seen for several days. After forcing entry into the property with the help of firefighters, detectives found the man’s body, with initial reports suggesting that he died from natural causes several days earlier. The discovery of the bombs led police to evacuation of the surrounding area and erection of a security perimeter while they were removed and detonated at an undisclosed rural location.